I am regarded as a highly competent and professional practitioner and I am deeply committed to my work as a psychotherapist and counsellor. I work with a wide range of client presentations and a large private practice gives witness to my success as a practitioner. I am a thoughtful practitioner and I adopt an honest, thorough, robust and professional approach to the work I undertake. I am highly self-motivated and the professional services I provide are of a high calibre. I have very effectively helped a large number of individuals to resolve a wide range of difficulties, whether these have been personal, professional and/or psychological. A small rural village that can be accessed easily from York, Pocklington, Beverley and Driffield, by car and/or public transport. I consistently set and maintain clear boundaries in my thinking and in my professional practice. I am aware of my limitations and I am comfortable accepting advice, guidance, confrontation and support from supervisors and professional colleagues. I have a sound understanding of the ethical principles that underpin my clinical work and I go to great lengths to maintain personal and professional integrity. I also have a firm grasp of moral and ethical values which I draw on whenever I am faced with an ethical dilemma to resolve. I undertook Supervisor Training at the Leeds Psychotherapy Training Institute. Having worked in the helping professions for over 30 years, my interventions are informed by the disciplines of both psychotherapy and social work. 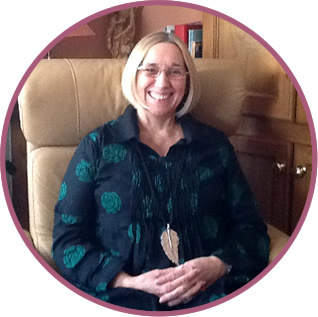 Whilst working as a social worker between1983 and 1996 I acquired an extensive knowledge and experience of working with all aspects of work with children and families and the civil and legal processes that this work involves. During my social work training I acquired knowledge and experience of Family Therapy and how this method can be used to treat a wide variety of emotional and psychological disorders in children, adolescents, and families. In addition to carrying a variety of other responsibilities, I facilitated groups for women with mental health problems; reminiscence groups for older and memory impaired clients; carers’ groups, for those looking after ailing and/or disabled relatives and social skills groups for people with learning difficulties. I have carried out a literature search into the psychosocial implications of psychotherapy and counselling and the many research methods that can be employed to understand and further develop these disciplines. I have also conducted empirical research into my own practice. For a period of two years I taught aspects of psychotherapy to trainee psychotherapists and counsellors and during this period I was responsible for assessing the academic work of the trainees. I have also assessed candidates sitting the Diploma in Therapeutic Counselling examination.